You like listening to music. Everyone does. Then why is it that we never are as cautious as we should be while buying the speaker systems for our home. We just go with the most affordable or fancy brand that matches with our ongoing theme at home. The Sonos speakers are here to give you the perfect solution to this age-old problem. Finally, you have a speaker that sounds awesome, looks amazing and is well within your budget. So many amazing features and they are always upgrading their products to incorporate only the best and the latest for their users. Before you switch to the next tab, read at least the next two lines to know the crux of this article and the hot picks of this season. At just the nominal price of $149.00, the Sonos Play 1 can become the next astute investment in your smart home. If you really want to explore the premium experience then shell out $699.00 and lose yourself in the melodious sirens of the Sonos PLAYBAR. 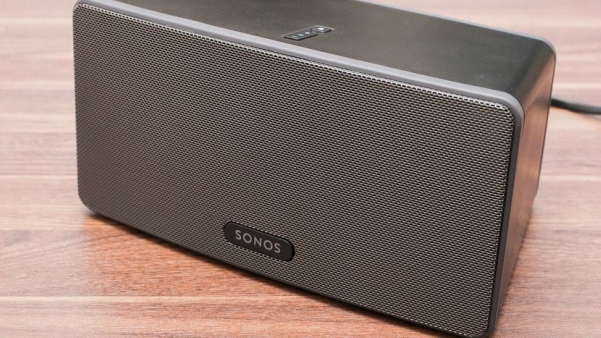 The best combination of price and quality is, however, the Sonos Play:5. You can learn all about them in just a couple of minutes if you keep reading. 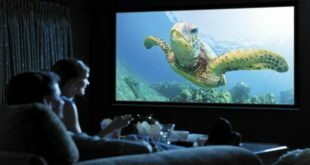 Else, you can bookmark this article for later and when you finally get time, zero in on the next surround system that you are about to purchase for making your home come alive. There is a lot that you would absolutely adore about this series of smart speakers. A sound system can liven up your room. But a bad choice can ruin the pitch of your home to a tone-deaf rhythm. The latest buzz in the market is around the Sonos 5.1 Surround Sound system. It comes with the best from the range of Sonos for that unbeatable audio performance. In the digital age of today, you need a device that integrates seamlessly with all the online platforms that you frequent. When we talk about the sound systems then you so want the kind that is able to stream all your favorite music streaming apps without any trouble. The Sonos 5.1 Surround Sound system is the one that will let you stream and stay connected with all other important devices. 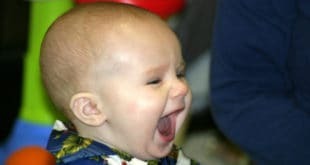 There are just so many ways in which you can benefit from the remarkable service of this amazing system. All you online favorites can be enjoyed with the richer than ever sound right at your home! Thanks to their partnerships with all the popular names in the music industry including the likes of the Spotify, Rdio, Google Now Music, Amazon that you don’t need to worry about the shortage of options anymore. You can also play music archives saved on your computer and hear each one of those tracks in the most breathtaking sound quality ever. No matter what the audio format it, you will be able to play it with this system. This fact just opens up a whole new world of musically stimulating opportunities for you. 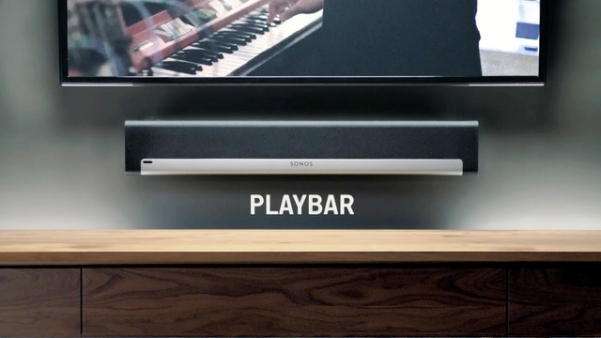 When it comes to credibility and quality, not many names comes close to the brand that is Sonos. All its launches including this latest one are known for having that tough exterior. Inside the heavy duty outer metallic body, you get a perfectly tuned system that is robust enough to remain unscathed from years of use. It is not just the frequency of use but also how much pressure it is able to withstand when it comes to the musical demands of the user. You can keep it connected to over 25 devices and still, you will not find even a single glitch in the overall performance. When you invest in an audio system then you do want it to stay in the premium shape for quite some years. You can count on the Sonos surround system for that kind of durability. It is the masterfully designed interiors and exteriors of this system that let you enjoy the outstanding service quality time and again. It is not just the durability but the consistent performance that the users are looking for nowadays. They want to invest in a system that works in the same effortless manner on the first day and ten years after that. You get that level of quality with the Sonos Surround sound system. There are a number of features that you look for while buying a new device. But usually, user-friendliness is at the top of them. This is because no one likes to tinker with a complicated device no matter how good it might be. If the operation is going to be a time-consuming battle all the time then you need to look for better options. Thankfully, that is not the case with this Sonos system. Right from the simple installation itself, it feels like a breeze to use it on any given day. You are provided with a manual which you can easily use to set up the system even if you are new to all this. The interface could not be any more efficient and easy to use for this system. Whether you plan on playing the tracks, movie or watch sports; you can fine-tune the settings for each of these scenarios in no time. There is just so much ease that comes with this appliance that once you start using it, you hardly go back to any other brand. You just upgrade to latest models when you feel like doing so and keep on growing your home surround sound system this way, in a steady manner. When it comes to performance, you can always rely on the Sonos. Be it the audio quality, connectivity or just about anything else in general, you will always be pleasantly surprised when it comes to the performance parameters with this model. Let’s start with the syncing process and how easily it comes to you thanks to the geniuses that have created this marvel. You just need to open the app and select the rooms where you want to network this system. Add the previously present speakers into the system and all the speaker systems present all over your house will get connected together instantly. You will experience the full spectrum of its unmatched performance when you decide to indulge in the TV viewing experience for a while. 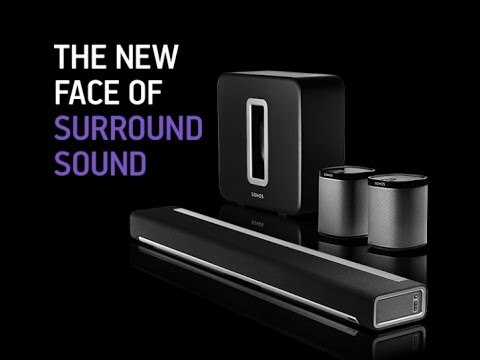 You will be thrilled after hearing the better than ever sound quality that becomes feasible only with the perfect combination of speakers in this Sonos surround sound speaker system. You receive a tempting piano black pair of speakers complete with the subs to help you integrate the speakers present in this collection along with the previously present gadgets and other speakers. There is a lot that one expects from a sophisticated speaker system like this one, both in terms of aesthetic appeal and audio quality. And this system performs fairly in both the aspects. You might want to keep it where everyone else will take good notice of it. This is because it had been designed in that sleek and stylish manner to add to the classic appeal of your place. And you would want to put it on display when you finally are able to witness its beauty personally. These wireless speakers embody the nature of their purpose. Just as their easy connectivity and functioning, they also try to liven up all kinds of settings with their glossy black finish. There is hardly any scenario where it sticks out like a sore thumb from the whole theme of the room. It fits just perfectly with every kind of room and surrounding decor. Wireless speakers are the current rage. And if you like to keep up with the latest trends then you would surely like to get this one right away. Perfectly compatible with the Amazon Alexa, this multipurpose speaker is a great companion for rendering that crystal clear audio all day. 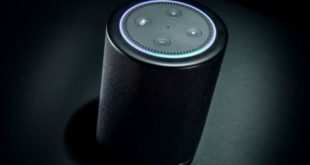 Stream all the popular streaming apps through this speaker including the Amazon Music, Pandora, Apple Music and Spotify. Easily mount it on the wall to save space and give your TV room that whole new look. 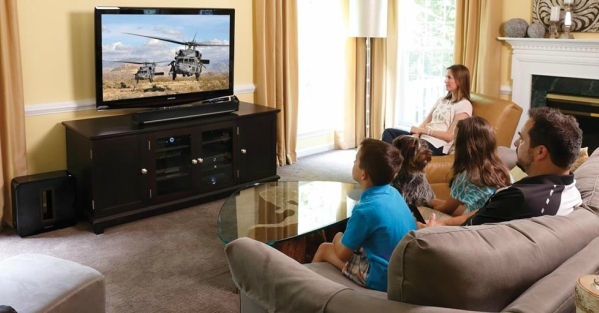 Listen to the best of sound effects when you pair it up with your TV for that unforgettable movie night experience. Compact size makes it the perfect fit in the snug corners of your place such as bookshelves and counters. Echo functionality has a long way to go before it becomes useful for all groups of people. The highly complicated user interface will prevent you from enjoying the best of these speakers. For those who are on the lookout for a mid-sized wireless speaker, do check out the Sonos PLAY 3 model. 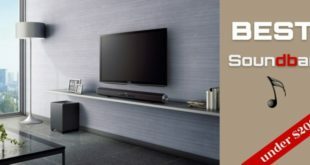 It has been designed keeping in mind all your everyday needs related to music and the TV viewing experience. Also, you can connect it to your TV and enjoy a nice day right at your home watching your favorite sitcom. Can easily place it either vertically or horizontally depending upon the available space. Its versatile design makes it a nice accessory for your home where you get to give the entire room a new look with its presence. Play a different song in every single room that you have got in your home for that versatile experience. Or, you can play the same song in every room with the sync option to get that unattainable audio experience. The software is terrible with this model that makes the entire speaker quite hard to utilize properly. You will struggle with the Wi-Fi compatibility every now and then with this particular version. For those who want larger than life experiences every single day, the Sonos PLAY 5 is the best choice. It is the biggest and the most powerful speaker by this brand. No matter how big the room is, you will get perfect pitch sound in each of its corners with the six amplifiers and six dedicated speaker drivers that are provided with it. If you want to make the sound experience even better for your guests then do sync it up with the stereo pair. Easily compatible with all the Amazon Echo or Alexa-enabled device so that you get all the more options to choose and stream music from. When your phone is away then just use the touch sensor instead for controlling the volume and playing the track of your choice. Add as many additional speakers as you like all over your home and network the entire sound system. Customer care service is not as attentive as you require it to be in the time of need. Hardware is not durable enough to give you full worth of each penny being invested considering the price tag. This speaker has been specifically designed for your TV at home to magically transform into a scintillating home theatre system. You will get to enjoy sports, movies, online games and every other multimedia experience imaginable in the best sound quality. You can count on the whopping nine amplified speaker drivers for giving you that crisp and clear sound from one corner of the room to another. ‘Night Sound’ feature makes sure that the low pitch voices are enhanced and the shrill voices on the TV are toned down for a blissful audio experience. Two-cord setup is highly simple and efficient for all those people who are busy in life but settle for nothing but the best. Connect to the Sonos app on your smartphone and replace the remote control with your very own phone for full control. No matter how much you try, you cant get it to work with the Projector + Apple TV combo. Wireless connectivity is not a strong feature of this model and you end up suffering because of it. Music is something that we all connect over and love to share. That is why it is best to own such a model that gets you and your friends talking about those nostalgic moments with its irresistible sound quality. 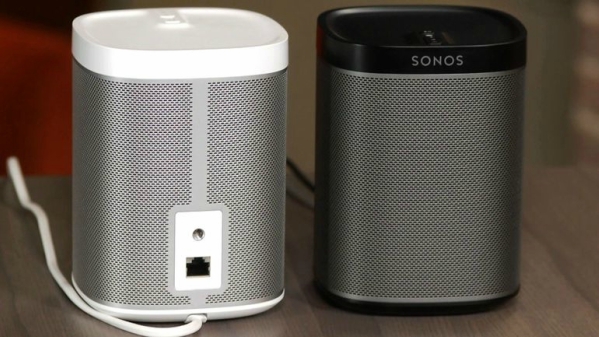 And as long as you are considering the Sonos line of speakers, you can never make a wrong choice. Here, the ultimate choice for your perfect home and eclectic music palate has to be the Sonos PLAY 5 speakers. They have this rare sound clarity and perfect pitch which makes each get-together one for the ages. And you are never too old to make fresh memories with your childhood buddies! Here you have another account of the latest that is going on in the world of smart home automation. What do you think about the Sonos speakers? Would you ever be interested in getting one for your home sweet home? Let us know what you think about this product. Also, keep reading to know more about every new trend that is going on in the home automation world nowadays! Best HD Projector Under $200: Amazing Picture, Resonating Sound! 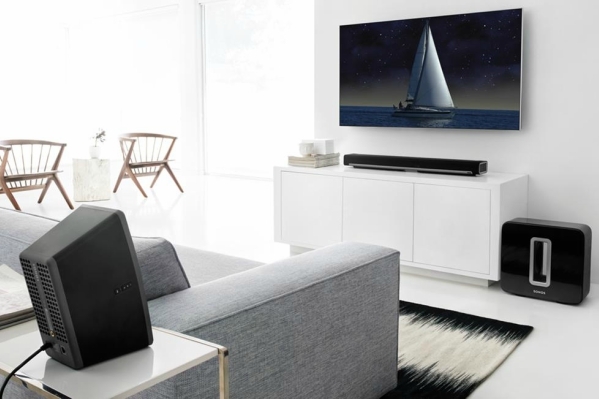 Best Soundbars Under $200: For Those Rocking Moments!